DSL’s service doesn’t stop once the design is complete, the majority of DSL’s clients go on to utilise our Production Management services, delivering scalable quantities of product how you require and when you require. 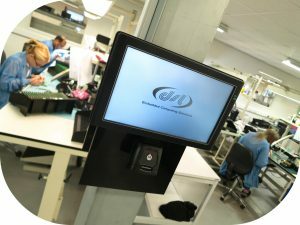 DSL can provide product as far ‘up the chain’ as you desire, including Operating System and software installation and final product assembly – in fact DSL often ship directly to our customer’s customer, alleviating them from any production involvement at all – a highly valued optional service we’re told. There will always appear to be a financial incentive to manufacture directly with a CEMS when your project reaches the production phase. Find out why some of DSL’s customers have tried this approach and invariably come back to DSL’s managed service having fallen into this trap in ‘Why not to use a CEMS directly’. Why retain production with DSL? Allow us to pre-assemble peripheral components, from sub-assembly to finished product reducing assembly effort and thus cost. 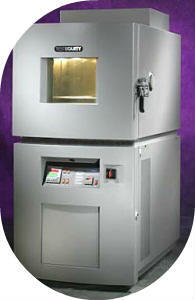 Avoid paying up front for components or assembly, you’ll only receive an invoice when you receive the finished product. Our free operating system and software pre-installation service reduces assembly cost, so your product is ready to run from the box. Who better to test your product than the designer? 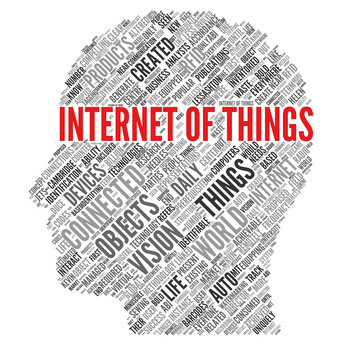 We can functionally test your product to an unprecedented level. Any 3rd party manufacturer is unlikely to have the necessary knowledge to fault find or functionally test, affecting yield. DSL seamlessly resolve potential obsolescence issues before they become that, thanks to their advanced notification of changes to component availability. Should such obsolescence occur with a 3rd party contract electronic manufacturer, it will be unlikely they can resolve it. We hold fully assembled and tested product in stock, ready for next day call off by our production customers. Flexible delivery enables production customers to benefit from bulk purchase, without the cash flow or physical space of stock holding implications. 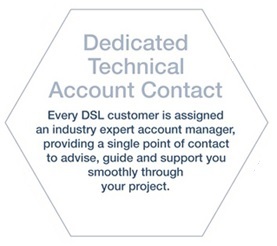 DSL manage multiple manufacturers on your behalf to satisfy dual sourcing requirements without the hassle. 1 off builds upwards with rapid delivery options for quick time to market, through to any volume production requirement. Fully managed material procurement activities to minimise supply chain risk and benefit from the scales of economy. Fully automated SMT lines for fast and highly accurate PCB assembly, suitable for the scalable production of surface mount and high mix PCB products. Leading edge process control for high yield & high reliability PCB assembly, removing the technical constraints of stencils. Automated inspection of all PCBA’s with the use of multi axis camera technology to optimise the manufacturing process, prior to functional test. 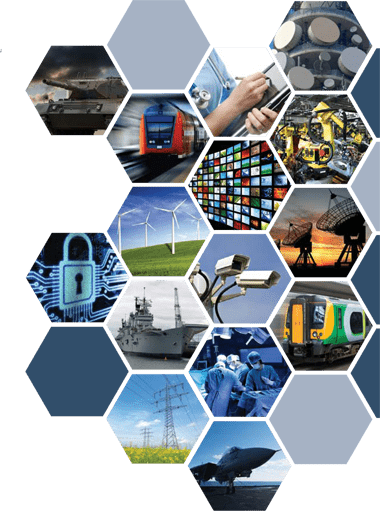 The latest range of component technologies can be implemented into the design and manufactured at a cost effective price point. Comprehensive tools to support complex PCBA’s through a full lifecycle, including verification during the prototype/NPI design phase. Obtaining a high quality PCBA will ensure the development cycle is not compromised. Low cost and highly repeatable process using a fully automated spraying technology, coupled with ultrasonic cleaning preparation. Your products will be manufactured to the very latest and industry recognised manufacturing standards available ensuring product conformance. Fully compliant with all manufacturing handling procedures for electronics products, built, packed and stores for distribution.